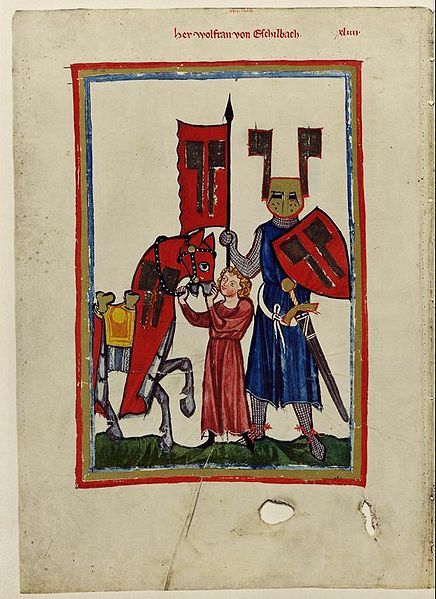 Dietmat von Aist (Codex Manesse.) Dietmar von Aist was a Minnesinger from a baronial family of Upper Austria, documented between 1140 and 1171, whose work is representative of the lyric poetry of the Danube region. THE MINNISINGER – THESE ARE THE SINGERS WHO CAME FIRST. Minnesang was the tradition of lyric and song writing in Germany which flourished in the 12th century and continued into the 14th century. People who wrote and performed Minnesang are known as Minnesingers (Minnesänger). The name derives from the word minne, Middle High German for love which was their main subject, and an individual song was a minnelied. 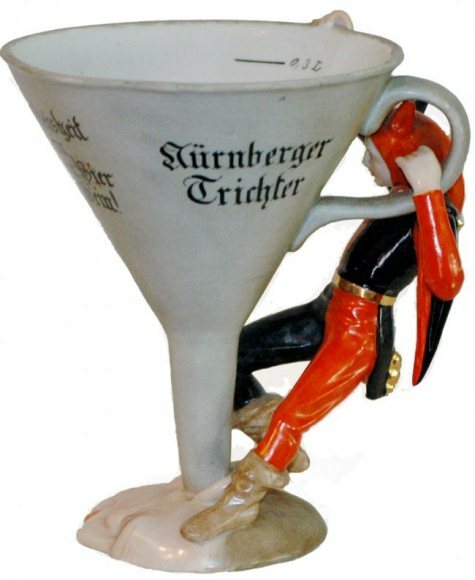 The Minnesänger were similar to the Provençal troubadours and northern French trouvères; they wrote love poetry in the courtly love tradition in Middle High German in the High Middle Ages. The earliest historical texts date from perhaps 1150, and the earliest named Minnesänger are Der von Kürenberg and Dietmar von Aist, clearly writing in a native German tradition in the third quarter of the 12th century. 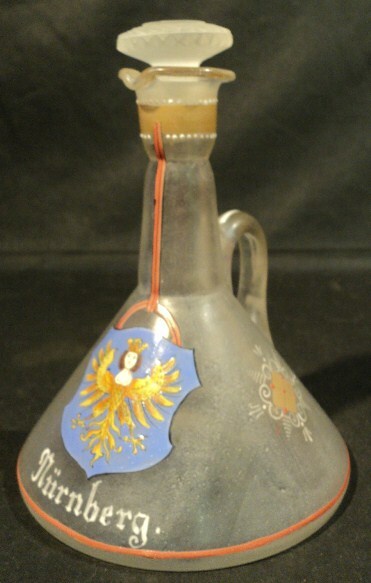 This is referred to as the Danubian tradition. 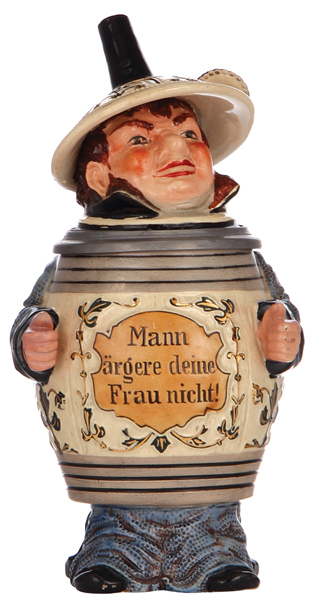 In the absence of reliable biographical information, there has been debate about the social status of the Minnesänger. Some clearly belonged to the higher nobility – the 14th century Codex Manesse includes songs by dukes, counts, kings, and the Emperor Henry VI. Some Minnesänger, as indicated by the title Meister (master), were clearly educated commoners, such as Meister Konrad von Würzburg. It is thought that many were ministeriales, that is, members of a class of lower nobility, vassals of the great lords. Broadly speaking, the Minnesänger were writing and performing for their own social class at court, and should be thought of as courtiers rather than professional hired musicians. Friedrich von Hausen, for example, was part of the entourage of Friedrich Barbarossa, and died on crusade. As a reward for his service, Walther von der Vogelweide was given a fief by the Emperor Frederick II. Several of the best known Minnesingers are also noted for their epic poetry, among them Heinrich von Veldeke, Hartmann von Aue, and Wolfram von Eschenbach. 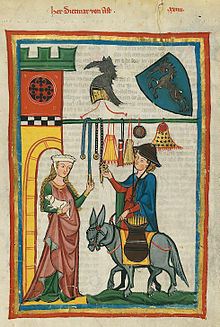 Wolfram Von Eschenbach out of the Codex Manesse. The original manuscript the above beaker’s scene was copied from. From around 1170, German lyric poets came under the influence of the Provençal troubadours and the Northern French trouvères. This is most obvious in the adoption of the strophic form of the canzone, at its most basic a seven-line strophe with the rhyme scheme ab|ab|cxc, and a musical AAB structure, but capable of many variations. A number of songs from this period match trouvère originals exactly in form, indicating that the German text could have been sung to an originally French tune, which is especially likely where there are significant commonalities of content. Such songs are termed contrafacta. For example, Friedrich von Hausen’s “Ich denke underwilen” is regarded as a contrafactum of Guiot de Provins’s “Ma joie premeraine”. By around 1190, the German poets began to break free of Franco-Provençal influence. 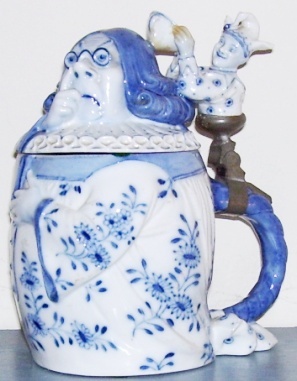 This period is regarded as the period of Classical Minnesang with Albrecht von Johansdorf, Heinrich von Morungen, Reinmar von Hagenau developing new themes and forms, reaching its culmination in Walther von der Vogelweide, regarded both in the Middle Ages and in the present day as the greatest of the Minnesänger. The later Minnesang, from around 1230, is marked by a partial turning away from the refined ethos of classical minnesang and by increasingly elaborate formal developments. 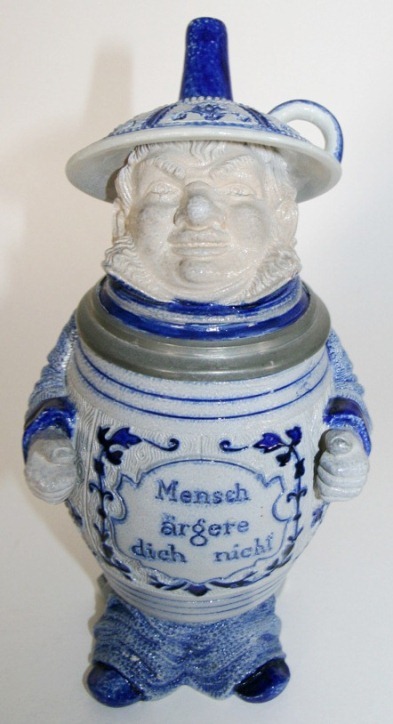 The most notable of these later Minnesänger, Neidhart von Reuental introduces characters from lower social classes and often aims for humorous effects. 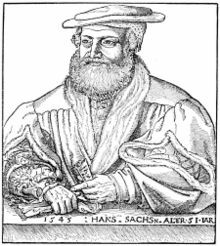 Hans Sachs, leader of the most famous 16th-century Meistersinger school in Nuremberg. Hans Sachs’ home in Nuremberg. THE MEISTERSINGERS AND THEIR GUILDS. 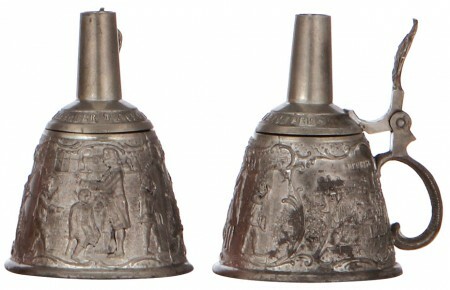 The Meistersingers carried on and developed the traditions of the medieval Minnesingers. 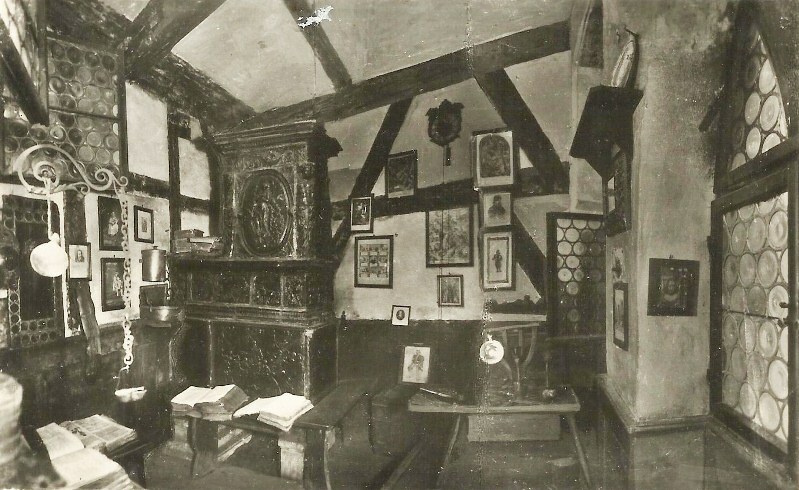 They belonged to the artisan and trading classes of the German towns, and regarded as their masters and the founders of their guild twelve poets of the Middle High German period, including Wolfram von Eschenbach, Konrad von Würzburg, Reinmar von Zweter, and Heinrich Frauenlob. Frauenlob is said to have established the earliest Meistersinger school at Mainz, early in the 14th century. The schools were established first in the upper Rhine district, then elsewhere. In the 14th century there were schools at Mainz, Strasbourg, Frankfurt, Würzburg, Zurich, and Prague; in the 15th at Augsburg and Nuremberg. The Meistersinger attributed their origin to twelve great masters who supposedly were contemporaries under Emperor Otto I (912-973) and sang for him and Pope Leo VIII. Actually, however, these masters were Minnesinger who lived between the 12th and 14th centuries. Nurnberg, under the leadership of Hans Sachs, became the most famous school in the 16th century, by which time additional Meistersinger schools had spread all over Germany and farther north, to Magdeburg, Breslau, Görlitz, and Danzig. Penalties for such infractions were painstakingly listed in the Tabulatur.The members of the Nuremberg school were divided according to their accomplishments as follows: a Schüleror apprentice was one who had not yet learned the Tabulatur; when he had, he became a Schulfreund;a member who knew well four to six “tones” was, a Sänger; one who wrote songs to existing “tones” was a Dichter; and the inventor of a “tone” was a Meister. 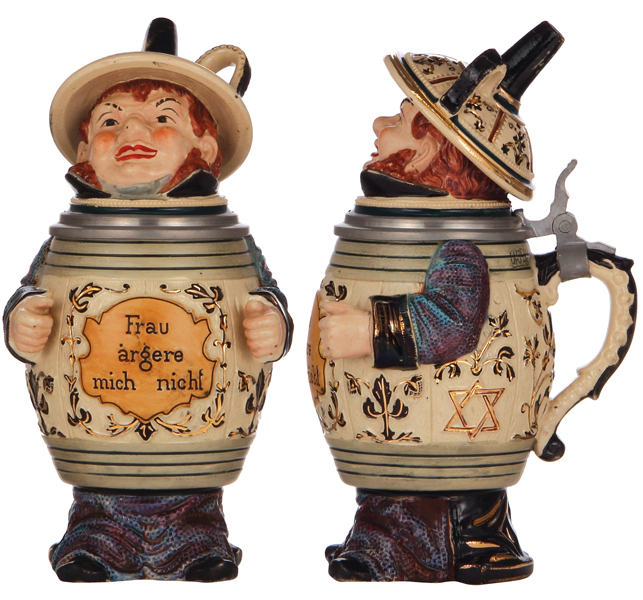 There is some confusion about the exact meaning of the word “Ton”and the distinction between it and Weise (tune.) Ton seems to have meant usually the verse and rhyme scheme of the poem or that scheme together with the melody; Weise,the melody alone. But the two words were frequently used interchangeably. 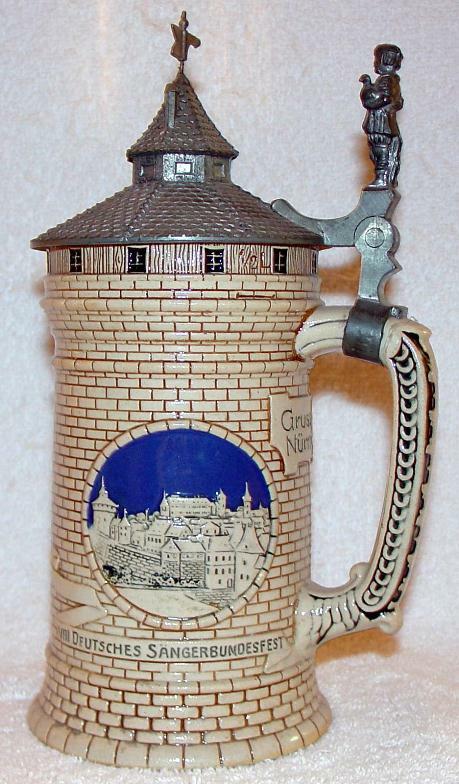 In the period from 1450 to 1600 Meistersinger guilds flourished in all the important German towns. The singers considered themselves musical and poetic heirs of the Minnesinger. But there is a fundamental sociological difference between Minnesinger and Meistersinger, as well as a qualitative difference in their musical products. 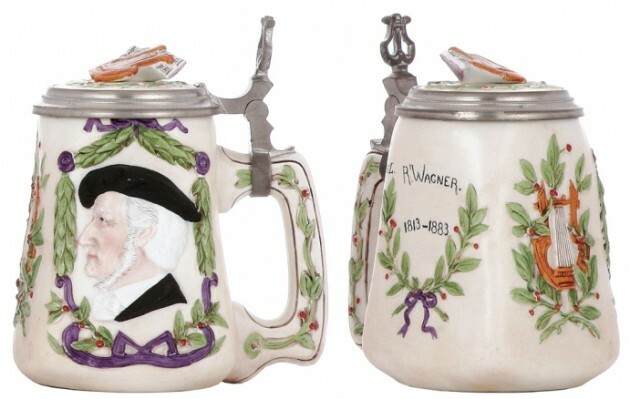 The Minnesinger were professional musicians, often of noble birth; most of the Meistersinger, on the other hand, were musical amateurs who earned their living as tradespeople. As a result, the compositions of the Meistersinger lack the plasticity and warmth of the Minnesinger melodies; and their art, like most organized amateur activities, was overburdened by an intricate system of rules. Below ▼:The lid to No. 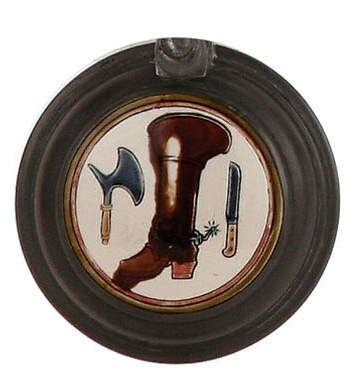 2722 – Shoemaker – Jack Boot and leather tools on inlay lid. For more exact info on the Meistersingers and ther application of some of the rules, the readers are asked to follow, or get the book: Meistersinger von Nürnberg, Die, an opera by R. Wagner, begun in 1845, completed at Triebschen (1866-8), and first performed at Munich on 21 June 1868. It is the only comedy in the canon of Wagner’s mature works. 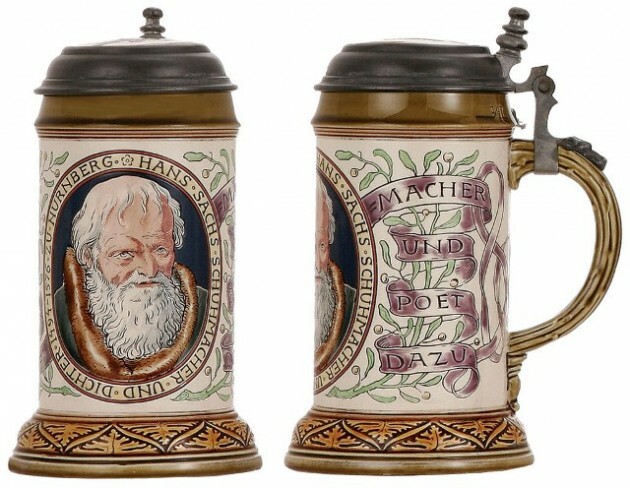 Set in 16th-c. Nuremberg, it has the cobbler-poet-composer Hans Sachs as its central figure; the Guild of Mastersingers, to which Sachs belongs, plays an important part. Veit Pogner, goldsmith and Meistersinger, has promised his daughter Eva to the musician successful in the festival of Midsummer. Walther von Stolzing, a handsome young knight, falls in love with Eva and she with him. He consents to give the Meistersinger a sample of his musical skill, but is turned down because he infringes the rules, on the observation of which his rival for Eva’s hand, the pedant Beckmesser, insists. The lovers are at a loss and think of elopement, which Sachs, in his good sense, frustrates. But Sachs also derides Beckmesser’s singing at night in a Nuremberg street in a scene which culminates in a riot, though it closes in moonlight serenity. The next morning Sachs, whose plan is now complete, leaves Walther’s proposed song on the table and, as he expects, Beckmesser, calling for his new shoes, steals it in the belief that it is by Sachs. At the great prize singing festival Beckmesser tries to sing Walther’s song, fails to make head or tail of it, and is laughed off the rostrum. 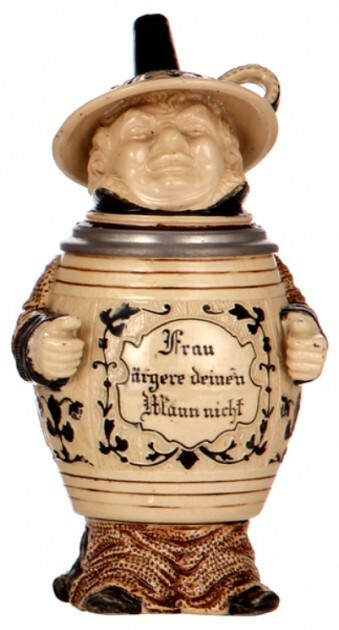 Walther now sings his Prize Song with understanding and warmth; all the listeners are carried away in spite of its neglect of the rules, and after initial reluctance on the part of the Meistersinger, the prize, Eva’s hand, is awarded to him. The opera ends with the assembled company singing the praises of Sachs and ‘die holde deutsche Kunst’. A rich comedy in its own right, it also symbolizes Wagner’s musical originality, its reception by the critics, and its justification. It was not until the 15th century that musicians called themselves Meistersinger or were described as such, Each guild had various classes of members, ranging from beginners, or Schüler (corresponding to trade apprentices), and Schulfreunde (who were equivalent to Gesellen or journeymen), to Meister. 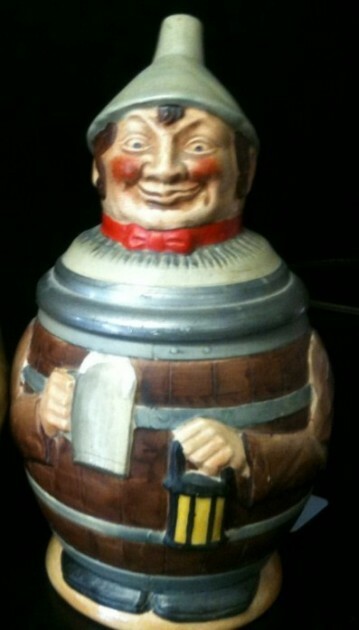 Meisters were poets who could both write new verses to existing melodies and invent new melodies. 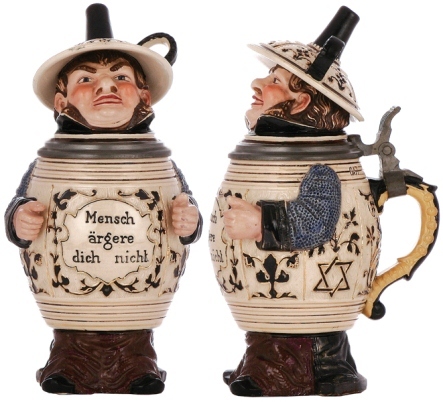 The poem was technically known as a “Bar” or “Gesetz,” the melody as a “Ton” or “Weis. “The songs were all sung without accompaniment. The rules of the art were set down in the so-called Tabulatur or law-book of the guild. The Tabulatur dealt with three matters: (1) The kinds of poems and the parts of a meistergesang; (2) permissible rhymes; (3) the mistakes, which are the main business, and have to do (a) with errors of delivery, of melody, of structure and of opinion; (b) chiefly, however, with errors of rhyme or mangling of words or cacophony. The poets paid much attention to the external forms of poetry: number of syllables, melody, etc. Poetry was to them a mechanical art that could be learned through diligent study, not something relying on divine inspiration. Their songs cover a variety of strophic forms corresponding to the many new tunes which the Meistersingers invented and gave complicated names such as Gestreiftsafranblumleinweis (Little striped saffron flower melody), Fettdachsweis, Vielfrassweis (Melody of eating much), geblümte Paradiesweis (Flowery paradise melody), etc.= But more attention was paid to fitting the syllables to the melody than to the text’s meaning, sentiment, or message. The various songs were divided into three strophes, and each strophe was divided into two Stollen and a discant or Abgesang. Plate, in “Die Kunstausdrücke der Meistersinger,” gives a long list of the various features of rhythm and rhyme in this complicated poetry, in all of which can be observed a singular likeness to the technicalities invented or slavishly aped by the lesser, and even by the better, poets two centuries earlier in Southern France. 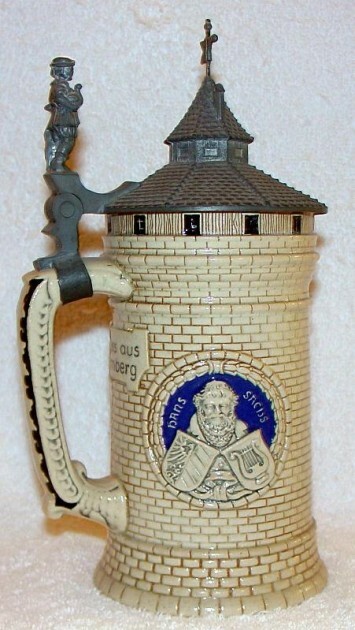 The Meistersinger had a large supply of “tones” — many of them borrowed more or less accurately from the Minnesinger — which had individual and sometimes fantastic names, e.g., “the tone of the proud miller’s daughter , the ape-tune,” and “the tone of the red bat.” The four most important ones, called the “crowned tones,” were by Mügling, Frauenlob, Marner, and Regenbogen. The Meistersinger, it seems, frequently employed the melodies of the old “tones” and created new texts in the same metrical and rhyme patterns that governed the original texts. But the number of old melodies used was strictly limited by the Tabulatur,for example in Nuremberg to three or four, in Colmar to seven. The rules required that no melody for a new Meistertonshould remind one of the melody of an old Meisterton.Consequently, the Meistersinger strove for melodic originality at all costs, with results that seem somewhat labored. The Bible was the chief source of the texts, which often included a reference to the chapter and verse on which they were based. More attention seems to have been paid to the choice of the text and especially to its versification than to the melody: Meistersinger who visited neighboring guilds more frequently wrote down the words of new songs than the music; and most of the penalties listed in the Tabulaturenapply to improper versification, false rhymes, and the like. Since each verse or line had to be sung in one breath, it was ruled that no verse could exceed thirteen syllables in length. But there seems to have been no limit to the number of lines allowed in one strophe. The meetings took place either in the town hall (Rathaus) or, more frequently, on Sundays in the church. Three times a year, at Easter, Pentecost, and Christmas, special festivals and singing competitions were instituted. 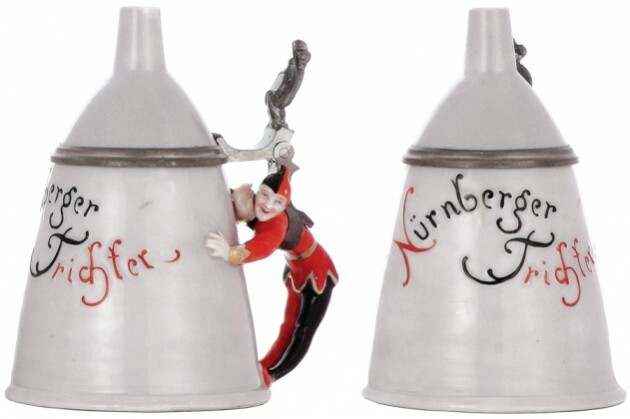 At such competitions or Schulsingen, judges (Merker) were appointed to criticize the competitors and note their offences against the rules of the Tabulatur. Prizes were awarded, and those who sang ill were fined. The prize was sometimes money, sometimes a crown, as at Nuremberg in the time of Hans Sachs. Flowers had also an important part in these competitions. Often in the older days one singer would hang up a wreath as a challenge and as a reward for victory. The meistersinger often wore a costume which was not seldom motley and which was often sumptuous. In Nuremberg, where the master singers flourished particularly, the special festivals were opened with free singing, in which anybody might sing, though not belonging to the corporation. In this the choice of the subjects was left comparatively uncontrolled. Then followed the chief singing, when only those who belonged to the corporation were allowed to sing, and only on scriptural subjects. The judges sat behind a curtain. There were four: one listened to whether the song was according to the text of the Bible, which lay open before him; the second whether the prosody was correct; the third criticized the rhymes; the fourth the tunes. Every fault was marked, and he who had fewest received the prize. The Meistersinger made a sincere effort to perpetuate the musical treasure of the Minnesinger, but their stifling pedantry, their isolation from the main currents of contemporary musical life,’ rendered their compositions, in comparison with the older German monophony, forced and stuffy. Nevertheless, the Meistersinger made an important contribution to the history of music. All countries had church music, and other countries had court music, but only in Germany was there such intensive musical activity among the bourgeoisie. The Meistersinger were instrumental in bringing music into the middle-class home; and they may have laid the foundations for the widespread love of music among all classes that helped in making possible the preeminent German musical productivity of later centuries. 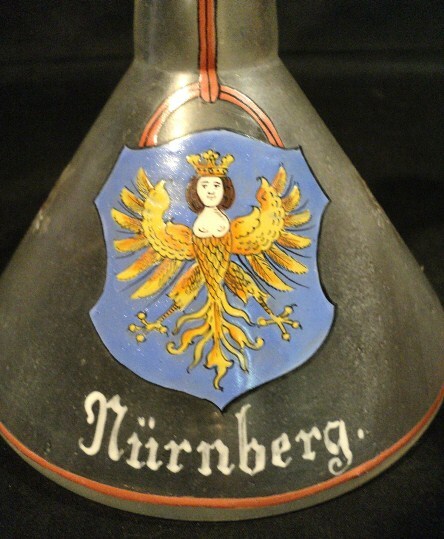 Detail of the enameled Nurnberg Harpie. 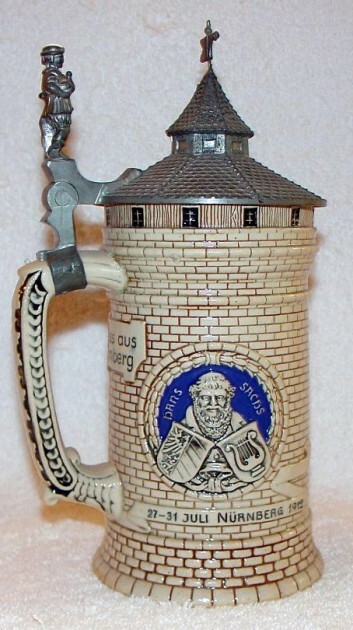 First made postwar (War II) by Reinhold Merkelbach, and is one of six different ones: Barman, Hobo, Accordion Man, Funnel Man, Tyrolian Hunter and Monk. 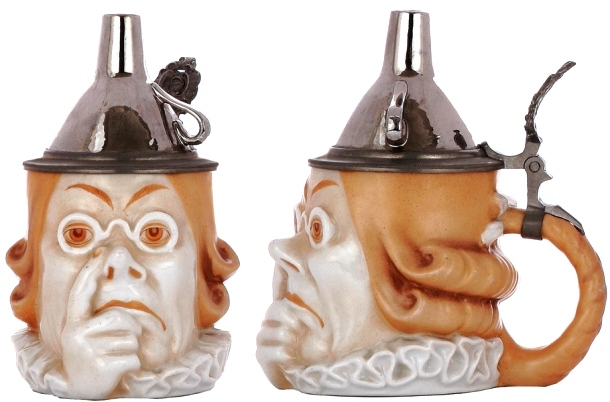 Recently they are appearing on “fee-Bay” made by Goebel. I’m not sure if Goebel is making the entire six in the original series, but I suspect they are. This is a jocular description of a mechanical way of learning and teaching. On the one hand, it evokes the image of a student learning his lessons with this kind of teaching method almost without effort and on the other hand, a teacher teaching everything to even the “stupidest” pupil. 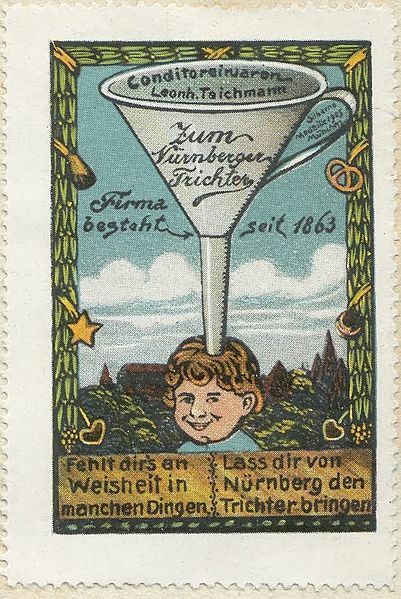 The idiom, “to funnel something in” (to drum something in) or “to get something funneled in” (to get something drummed in) is even older than the image of the “Nuremberg Funnel”; it was first recorded in the collection of proverbs by Sebastian Franck in 1541 – but without reference to the city of Nuremberg. 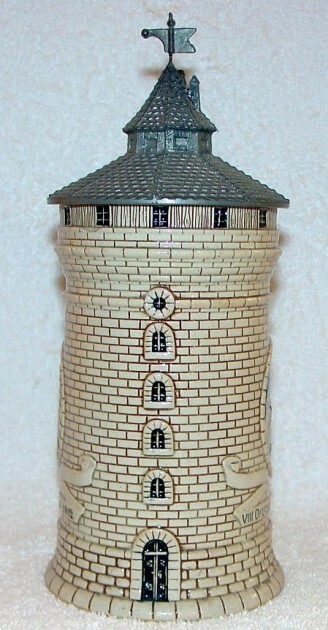 Schierholz porcelain – Version No.1. 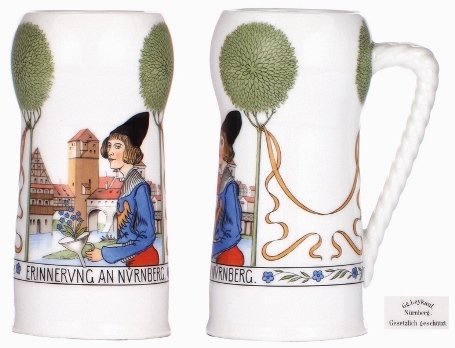 Schierholz porcelain – Version No.2 of Nurnberg Trichter 3-10L Beaker / wine. 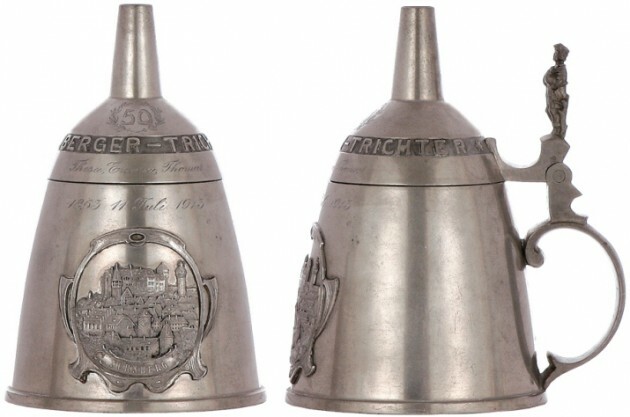 “Der Trichter’ Character stein, .5L, pewter, Nürnberger Trichter, 1863 – 1913. The thumblift is of Hans Sachs. 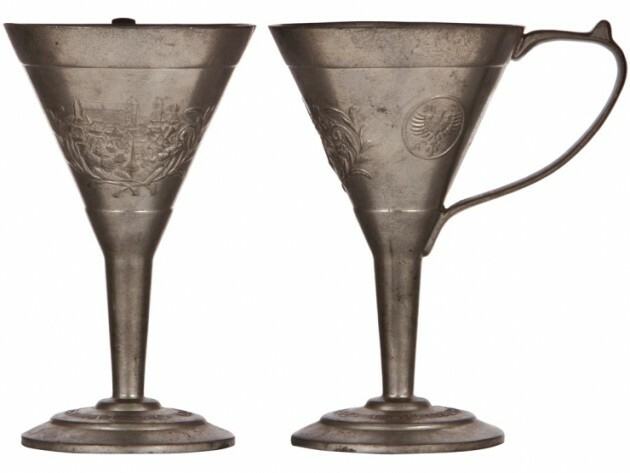 And many of my thanks go out to Judith Stuart and Wendell Barney (Both Gambrinus Stein Collector’s Club) for their informational assistance on this article! The reason Politicians try so hard to get re-elected is that they would “hate” to have to make a living under the laws they’ve passed.